This year has been a good year for me in terms of travel. Austria, Puerto Rico, the Bahamas, and a brief visit to California have kept me in new birds and it has been wonderful. But there is still little more in birding that I like than birding my local haunts and seeing what there is to see. At Forest Park on Good Friday I caught up to a Red-breasted Nuthatch and got to watch and digiscope it as it foraged through the understory. It was in nice light, unafraid of my presence, and as good a way as any to spend ten minutes or so. What did I see in those minutes? 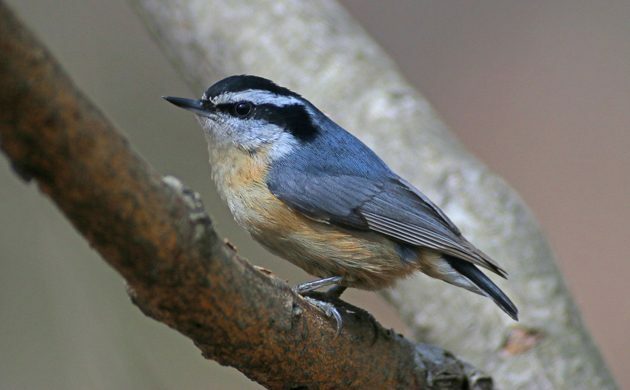 Well, first of all, the fact that the nuthatch had an understory to forage in is only because we in Queens are lucky to have avoided the scourge of White-tailed Deer that have so decimated the forests in other parts of the northeastern United States. We have shrubs, bushes, and small trees while other forests often nearly lack them altogether. 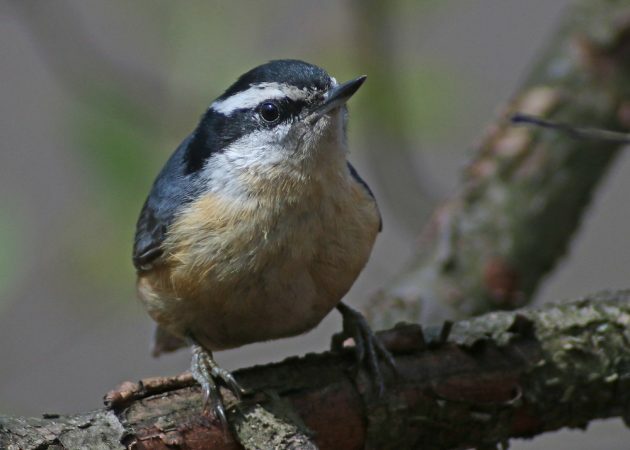 I noticed that the nuthatch, while foraging alone, was near enough to some Black-capped Chickadees and a White-breasted Nuthatch that when the chickadees scolded something – I never saw what – the Red-breasted Nuthatch froze in its foraging until the scolding stopped. It’s always educational to see how birds react to each other. 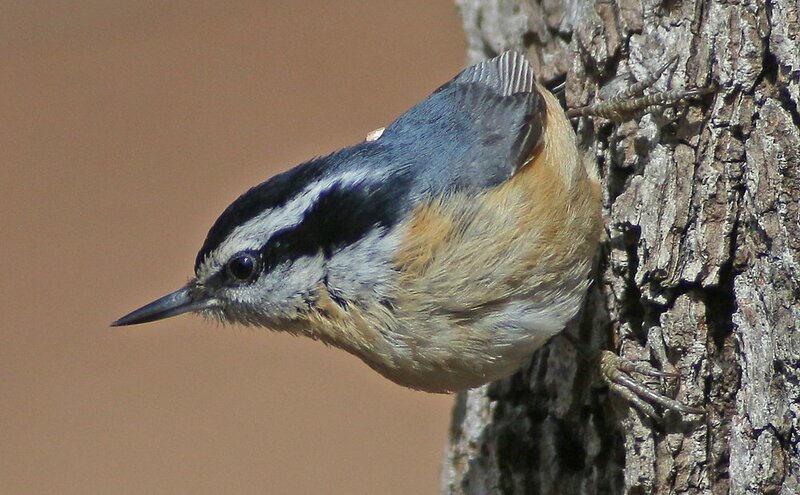 The nuthatch, much to my surprise, also attempted flycatching several times. I don’t think I ever saw a Red-breasted Nuthatch attempt to catch flying insects but this one went at it with gusto. It was somewhat comical to see a bird that has evolved to feed while clinging to the trunks and branches of trees try to outmaneuver a bug on the wing but it seemed to be successful at least once, though I couldn’t see what type of bug the bird caught. 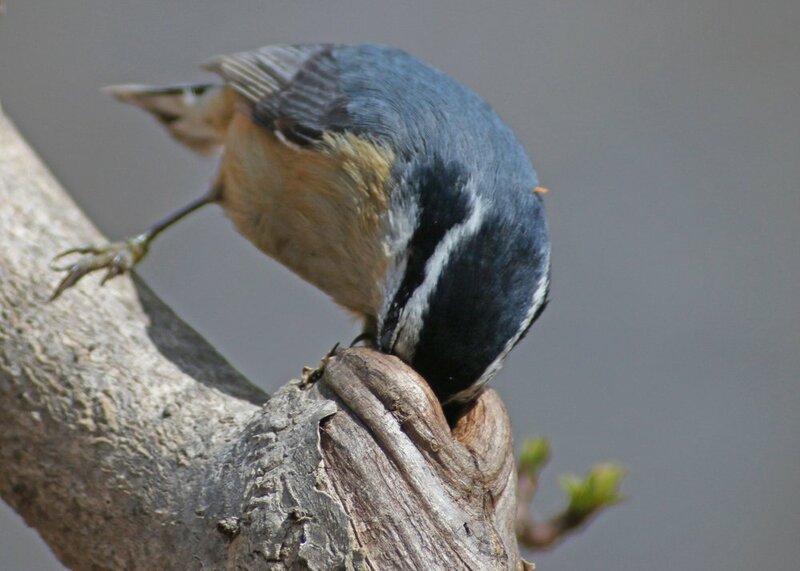 The nuthatch also foraged in a more traditional way, walking right-side-up and up-side-down on tree trunks and branches. The attention of the bird was nearly absolute as it foraged in this way and it amazed me just how much it was feeding as it dug into crevices in the bark. No wonder early 20th century ornithogists tried to spur conservation by showing how much insect removal birds do! The best part was when the nuthatch found a knot-hole and excavated it, searching for yummy stuff on the inside. It reminded me of this Ovenbird from five years ago. Finally, have you ever had an itch in the middle of your back that you couldn’t scratch? I imagine that is how this poor nuthatch felt with that little piece of vegetation stuck to its back just behind its head. I hope it finds a way to get it off at some point! What great images! This is one of the fun birds that we do not get here on the Baja! Man, nice pictures! That’s such a great little bird.